– It’s a concert, so expect loud music. The band includes drums, guitar and bass. For those that have auditory sensory concerns, bring noise-reducing headphones or ear plugs. – Current tour is mostly at very small venues, and are mostly general admission. This means pushing, standing for long amount of time and some jumping. If you have tactile/touching concerns, there are almost always places in the back or on the sides that will be less crowded. 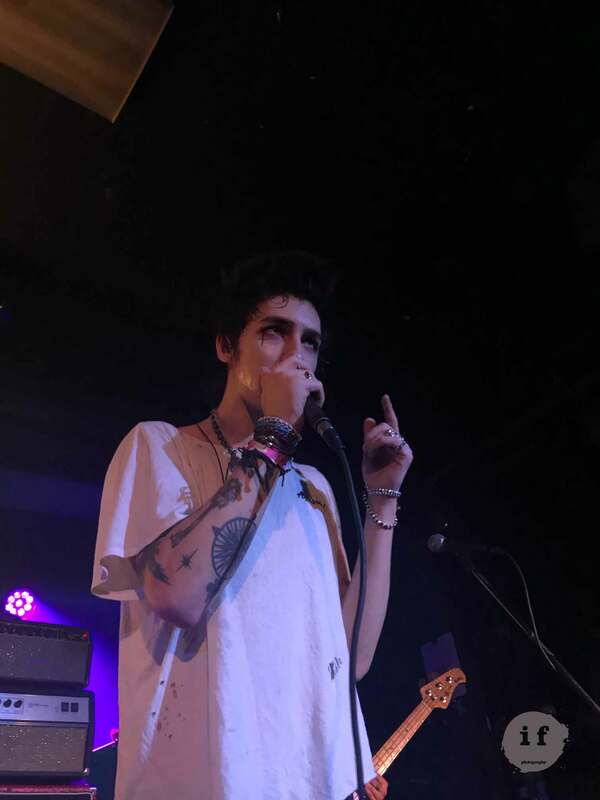 -The band members love to reach into the crowd, so if you do brave “the pit” be aware there will be more pushing at those moments when they reach or go into the crowd. **VIP Option! 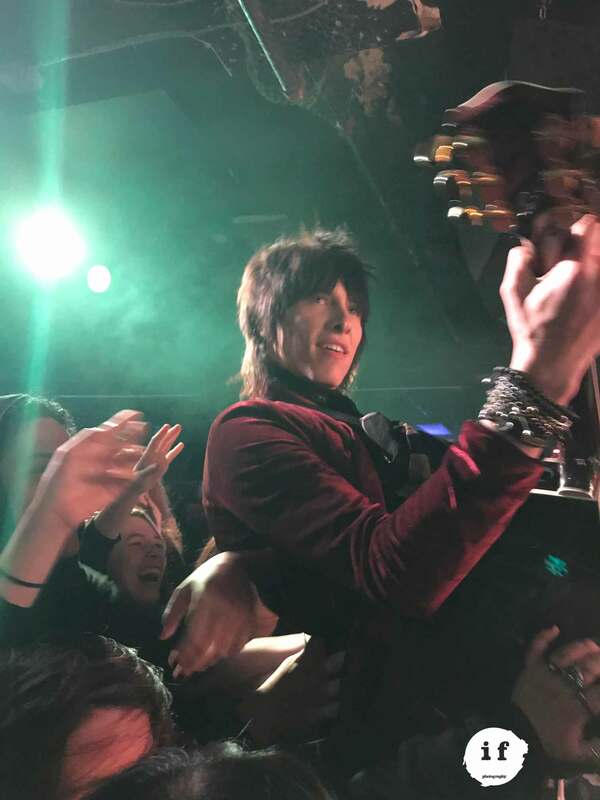 During this current tour, Palaye Royale is offering a VIP ticket for $50. While this is not inexpensive, it is relatively less expensive than VIP opportunities for other bands AND has a ton of value for the price. The VIP ticket gives you exclusive opportunity to meet the band 1:1, and watch a 20 person or so acoustic set on their bus. If you love this band but cannot handle an actual show, the acoustic performance may be just the ticket if you can afford it; it is an amazing opportunity to meet the band, ask them questions and watch them croon right in front of you in a tiny crowd. This experience still feels a bit crowded since 20 people or so will be crowding into a tour bus, but it is short enough (about 30 minutes) that it may be better than the actual performance for those with acoustic and tactile sensory difficulties.